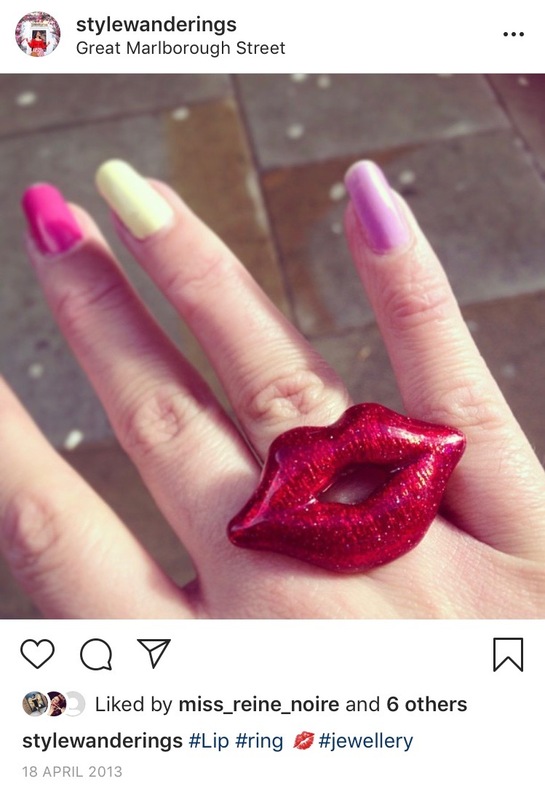 I then also spotted the stunning American video maker Amy Serrano rocking colourful rainbow nails on the thumbnail of one her YouTube videos (she also shared a snap of them on her Instagram account). Bursts of color. Tiny bags. Y2K revival are a few trends Im predicting we’ll be seeing more of this year. But what trend are we leaving behind in 2018? #linkinbio for my full fashion forecast. . . Estallido de color. Bolsas pequeñas. El renacimiento de la época de Y2K son unas de la tendencias que estoy prediciendo para este año. ¿Que tendencia de moda dejares en el 2018?? #linkenmibio para mis predicciones de modas. Uber stylish, up-and-coming blogger & Instagrammer Elif from That’s a Leaf has also dipped her fingers in a rainbow – and I love that she said she was inspired by artist David Hockney’s painting “A Bigger Splash”. 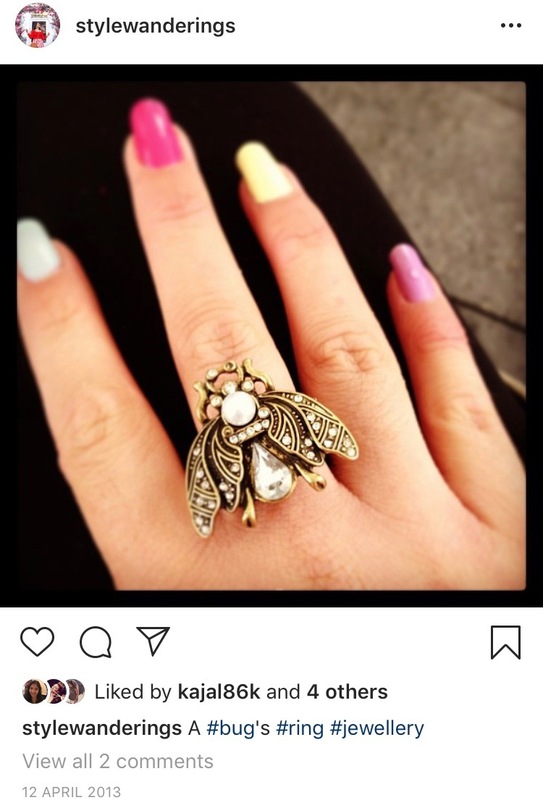 Fast forward (almost exactly) six years from that post, and my nails are looking pretty damn sad. They’re a bit too short for my likings, as breakage occurred. They’re also bare at the moment – and although I’m fine with letting them breathe and go au naturel for a while, they’re a sad sight because somehow they got f*cked up by nail people and currently have a bit of yellow residue on them that won’t go away (sob). A pretty sad nail story if you ever heard one. So maybe they deserve to be spoilt with a splash of colour, am I right? What are your thoughts on rainbow nails? Is it a yay or a nay? 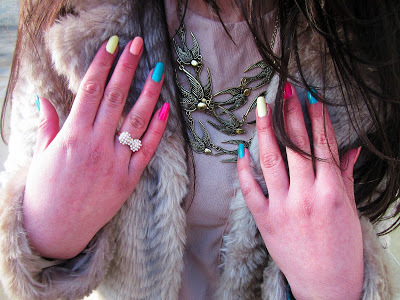 I thought about calling this post Rainbow nails – yay or nay?, but let’s face it, there was no way I was going to find reasons for rainbow nails to be a nay!